Mr. Elliott (DOB 10/27/92), Hume (DOB 01/12/90), Mr. Rayborn (DOB 03/16/88), and Ms. Stanford (DOB 08/14/97) are charged in connection to a series of armed robberies that occurred between September 26 and December 13, 2018. A pretrial conference is scheduled for April 10, 2019 at 8:30 a.m. in Division 8 of Jefferson Circuit Court. Milja Zgonjanin is the prosecutor. 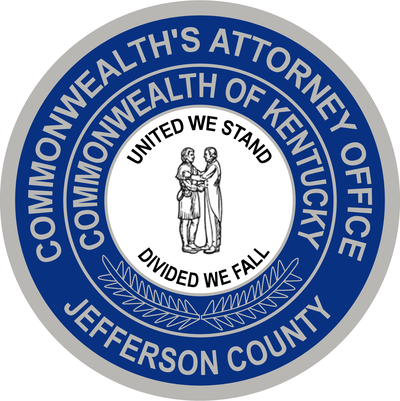 Mr. Joseph (08/28/54) is charged in connection with the findings of a retailer integrity investigation by the Kentucky Lottery Corporation at the River Road Shell at 3002 River Road in Jefferson County, Kentucky. A pretrial conference is scheduled for April 8, 2019 at 8:30 a.m. in Division 7 of Jefferson Circuit Court. Kaleb Noblett is the prosecutor. Ms. Savadara (08/15/84) and Mr. Vyas (08/18/68) are charged in connection with the findings of a retailer integrity investigation by the Kentucky Lottery Corporation at the Five Points Food Mart at 4548 Taylorsville Road in Jefferson County, Kentucky. A pretrial conference is scheduled for April 11, 2019, at 9:30 a.m. in Division 13 of Jefferson Circuit Court. Kaleb Noblett is the prosecutor. Mr. Burdette (DOB 06/22/58) is charged with the Christmas Eve Murder of LMPD Detective Deidre Mengedoht while operating an MSD truck while under the influence of intoxicants. Amid the crash, Mr. Burdette also endangered the lives of four other individuals. A pretrial conference is scheduled for Monday, April 8, 2019 at 8:30 a.m. in Division 8 of Jefferson Circuit Court. Kristi Gray is the prosecutor. Ms. Eubanks (DOB 01/07/83) is charged with the June 24th, 2018 Murder of her former boyfriend, Jaqua Simmons, in her home. A pretrial conference is scheduled for April 9, 2019 at 8:30 a.m. in Division 7 of Jefferson Circuit Court. Madison Shoffner is the prosecutor. Mr. Bishop (12/01/74) is charged in connection with theft from Carpenter’s Local #2501 occurring while he was the union’s financial secretary. A pretrial conference is scheduled for April 11, 2019, at 9:00 a.m. in Division 3 of Jefferson Circuit Court. Kaleb Noblett is the prosecutor. Mr. Johnston (DOB 07/21/94) is charged with the November 11, 2017, robbery of the Circle K located at 8801 Old Third Street Road. Mr. Johnston stole business cash from the store clerk at knife-point. A jury trial is scheduled for April 9, 2019, at 9:30 a.m. in Division 6 of Jefferson Circuit Court. At that time, the Defendant has agreed to enter a guilty plea to Robbery in the First Degree in exchange for a dismissal of Persistent Felony Offender in the Second Degree and a recommended sentence of 10 years to serve at 85% parole eligibility. Corey Taylor is the prosecutor. Mr. Singer (03/01/94) and Ms. Needy (06/04/90) are charged in connection with the February 17, 2017, stabbing death of Nicholas Morris. A hearing on Defendant Needy’s motions is scheduled for April 12, 2019 at 1:30 p.m. in Division 8 of Jefferson Circuit Court. Kaleb Noblett is the prosecutor. Devone F. Briggs for the February 23, 2019, murder of Jose Antonio Munoz-Munoz at the Olive Garden at 4811 Outer Loop. Briggs has been charged with one count of Murder and seven counts of Wanton Endangerment in the First Degree. The Wanton Endangerment charges result from the fact that Briggs discharged his firearm in a crowded restaurant which threatened death or serious physical injury to seven other adults and children in the restaurant. The case has been assigned to Division 9 of Jefferson Circuit Court and Briggs is expected to be formally arraigned there on Monday, April 8, 2019 at 1:30 p.m. Assistant Commonwealth’s Attorney Marit DeLozier is the prosecutor. A copy of the Indictment is attached with this release.